PORTLAND, OR--(Marketwire - December 23, 2010) - Summit Semiconductor LLC, a leader in wireless audio technologies for Home Theater, enables the first consumer products to be approved by the FCC for wireless operation in the uncongested, 5GHz UNII (Unlicensed National Information Infrastructure) radio frequency band. Hansong Technologies, an original equipment and design manufacturer to global consumer brands, will unveil an audio hub utilizing the Summit Wireless™ UNII band radio modules that support up to 7.1 Home Theater speaker systems, in the first quarter of 2011. 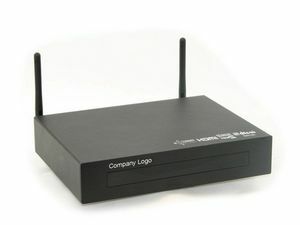 The small form factor HDMI audio hub provides audio video receiver connectivity and advanced high definition audio decode for digital televisions, Blu-ray players, game machines, digital music players (iPods™, etc.) and set top boxes. 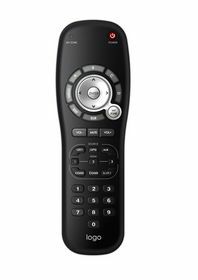 In addition to the high definition wireless audio link to the speakers, the audio hub uses Summit Wireless automatic optimization capability that includes SpeakerFinder™ instant setup and MyZone™ audio sweet spot calibration which in seconds assigns the correct audio channel to each speaker and produces a time aligned sound field for the listener by instantly adjusting delay and volume to their listening position in the room. Hansong Technologies is a leading OEM/ODM manufacturer of high quality audio and video products. Hansong Technologies focuses its resources on: Hi-Fi products, Pro Audio products, Architectural Audio and Video and Commercial audio. Product categories include amplification, DVD players, tuners, internet radios, wireless and AVR/processors. Through the last 12 Years Hansong Technologies has established itself as a quality manufacturer with a strong commitment to its partners. Headquartered in Nanjing, Jiangsu province China, Hansong Technologies has over 60 research and development engineers on staff. For more information please visit www.hansong-china.com. Summit Semiconductor, LLC, is a successful spin-off of Focus Enhancements with over a decade of fabless semiconductor chip design and wireless system integration experience targeting the home entertainment markets. Its award-winning Summit Wireless™ technology is the leading integrated circuit solution enabling home audio systems to distribute high-definition, distortion-free audio with ease. Summit Wireless is designed to be integrated into home theater speakers, sound bars, audio/video recorders, digital television, DVD players, MP3 players, set-top boxes, and gaming systems. Summit Semiconductor is headquartered Hillsboro, OR, USA, with offices in San Jose, CA, Taiwan, Korea and Japan. For more information on Summit Semiconductor, please visit www.summitsemi.com. About this company Summit Semiconductor LLC.